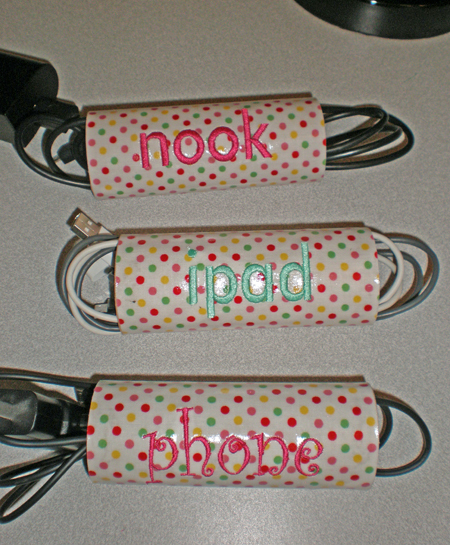 Kellie Rushing, one of our Resource Trainers, sent me photos of the cord keepers she made for her phone, computer, and iPad. She recycles toilet paper rolls and covers them with vinyl-coated cotton. This super-easy project would make a nice gift for just about anyone – just change the fabric colors and embroidered alphabet to suit each one’s personality. Kellie used BERNINA CutWork Software and Accessory to cut all the fabric rectangles for her cord keepers at the same time, but you could cut them out with scissors instead. (If cutting with scissors, do the embroidery first, then center the embroidery in the rectangle before cutting.) In the photo you can see the basting stitches that hold the fabric layers together, and the cutting lines where the CutWork Tool perforated the fabric. After cutting the rectangles, she embroidered each one with a label. 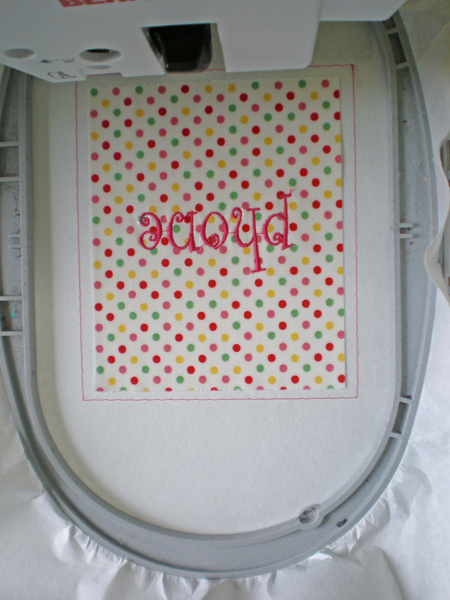 If you don’t have an embroidery machine, you could use applique for the letters or “draw” them with a wide satin stitch. 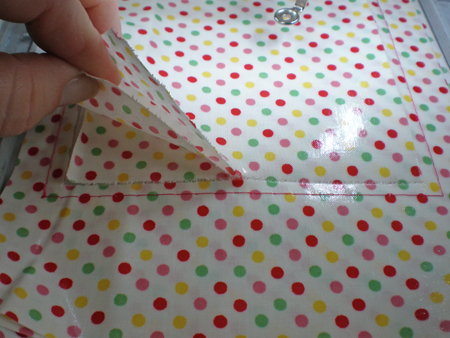 When the stitching was complete she glued the fabric to the roll. A simple way to keep your cords organized! 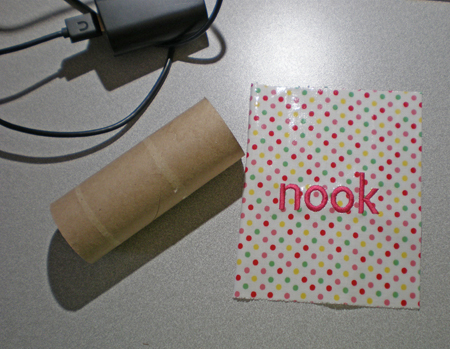 I used toilet paper rolls and also paper towel rolls with quilting cotton. I didn’t think to embroider anything. They didn’t come out very sturdy. Your idea of using vinyl coated cotton is great! I’m gong to remake mine.